Although there is no shortage of information to be found on the web discussing bingo, and a near limitless number of bingo sites out there (certainly more than anyone could possibly try out), it is however, difficult to compare all the sites in detail. Of course there are plenty of review sites to be browsed, such as portals, which can provide you with all sorts of helpful information. Some will tell you what the site has to offer, others will highlight the great features a particular site may have, whilst others might even go a step further, and inform you of any negative aspects regarding a particular site. Nonetheless, one must take into account that review sites for the most part make their money from affiliate revenue, and therefore might omit certain information that might upset their clients. Obviously it is in a bingo portal sites’ interest to attract potential players, by offering relevant and transparent information about bingo operators. Players will come to the site, and make an informed decision based on what they have read. Most of these sites will also encourage players to leave reviews about their experiences on a particular site. The site in turn will often make money by sending traffic to a particular operator, so for example; if a player reads a review on ‘Portal A’ about ‘bingo Site B’, and decides that they wish to sign up, they will click on the tracking link leading to the site. This will alert the operator that a person has visited their site from Portal A, and depending on what agreement they have in place, Portal A will make profit from having directed the player to Bingo Site B. However, this clearly causes a conflict of interest. Although it is in a portals’ interest, to provide trustworthy information, about the various bingo sites they host content about; that information might not be in their financial interest. Let’s hypothesis for a minute that Bingo Site B has many complaints from players; because of bad wagering rules, or poor customer service - it is clearly in the interest of other players to have this information. So you might naturally assume that Portal A, which prides itself on its reputation as trustworthy source of bingo information, will undoubtedly make their visitors aware of such issues with the bingo site in question. On the other hand, what if Portal A had signed what could be a very lucrative agreement with Bingo Site B, for directing depositing players to their site. It wouldn’t be ideal to host any information that might upset Portal A’s opportunity to turn a profit, nor would it be wise to upset the client. After all, a portal sources all its revenue from driving players to sites, if a client is dissatisfied with an affiliate portals’ service, it could potentially ruin their business opportunities with other operators. So in this case it would be a greater incentive to the affiliate site in question to obfuscate the truth – possibly by making the negative commentary harder to locate, or by removing it entirely. Of course such practise completely undermines, and usurps the sites trust with its visitors should they find out. Needless to say, such inapprehensible conduct is not commonplace, and provided you stick with the responsible well known portals, and then it is unlikely that you will encounter any such issues. 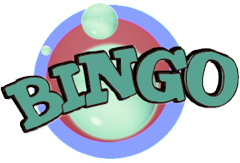 There is of course another option, if you are looking for unfiltered helpful information; and that is to go looking for one of the many 100’s of bingo blogs that exist. These blogs rarely have any financial incentive attached to them, as they are usually run bingo enthusiasts rather than companies. One such blog that we recommend is called Shout Bingo. This site is never afraid to speak its mind on any subject related to bingo. It doesn’t necessarily talk about bingo sites. Often there are very humorous posts made about TV bingo adverts, or anything that is going on in the world of bingo generally. It is definitely worth a read if you have time. So remember, when you are looking for a decent bingo site to choose, don’t be too hasty in your decision. With so much information available, it is fine to bide your time, and make a clear decision on which site is best for you.